Joe Henry On World Cafe : World Cafe Mentored by T Bone Burnett in the '90s, he's gone on to work with the likes of Elvis Costello, Bonnie Raitt, Glen Hansard and more. The singer-songwriter and producer performs live. 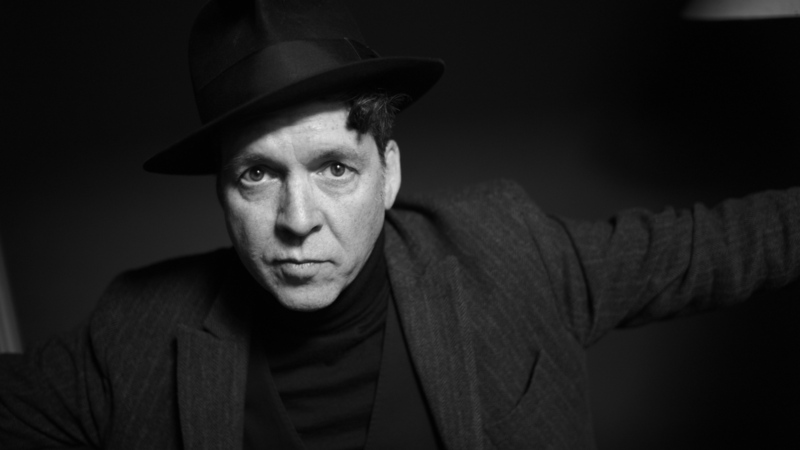 Though he's here to perform live music from his latest solo album Thrum, Joe Henry is also well-known as the producer of a lot of music. It might even take you longer to Google and browse all of his credits, than it would to listen to this complete session! Joe was mentored by legendary producer T Bone Burnett in the '90s, and has gone on to work with Elvis Costello, Bonnie Raitt, Glen Hansard, Aimee Mann, Solomon Burke, Bettye LaVette, Meshell Ndegeocello ... and loads more. Keep on scrolling down that list of Joe Henry credits. Many of those artists passed through Joe's former studio in the basement of the house where he lived with his family. Joe and his family recently left that house — we'll talk about why. Joe grew up in a suburb of Detroit, but now lives in LA with his wife Melanie Ciccone. Recognize that last name? Melanie is the sister of Madonna Ciccone, aka Madonna. Joe and the Ciccones have known each other since they were in high school in Michigan. Joe will talk about his personal and professional relationship with his very famous sister-in-law, including why it works so well. This session starts with a live performance of a song from Joe Henry's new album, called "Climb." Hear it all in the player above.